Edwards, Lee. Missionary for Freedom: The Life and Times of Walter Judd. New York: Paragon House, 1990. Goodno, Floyd Russell. 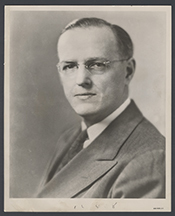 Walter H. Judd: Spokesman for China in the United States House of Representatives." Ed.D. dissertation, Oklahoma State University, 1970. Judd, Walter H. Walter H. Judd: Chronicles of a Statesman. Edited and with a Preface by Edward J. Rozek. Denver: Grier and Company, 1980. Stuhler, Barbara. Ten Men of Minnesota and American Foreign Policy, 1898-1968, pp. 169-93. St. Paul: Minnesota Historical Society, 1973.